The National Interest | Mohammed Ayoob: On August 8 the National Interest published an eminently sensible statementsigned by a number of leading practitioners and scholars of American foreign policy strongly exhorting President Trump not to renege—as he has threatened to do in the coming October—on the nuclear deal with Iran, known as the Joint Comprehensive Plan of Action. The statement’s authors, all veterans of the foreign-policy arena, then went on to advise the president that he should continue to certify Iran’s compliance with the JCPOA as long as the IAEA, the international nuclear watchdog, continues to determine that Iran is keeping its part of the bargain. They further advised the president to engage fully in the work of the joint commission of the JCPOA that oversees Iran’s compliance and begin to consult with other members of the commission—the P5+1 and Iran—on options for a follow-on agreement that would assure that Iran does not acquire nuclear weapons far into the future. They argued, very sensibly, that the United States cannot guarantee that Iran will be nuclear-free unless it keeps its side of the bargain, which includes lifting sanctions and not reimposing them for extraneous reasons. They went on to argue that refusing to certify Iran’s compliance with the JCPOA in the absence of credible evidence would mean, among other things, America unilaterally imposing sanctions on Iran in defiance of the wishes of its partners in the JCPOA. This would splinter the coalition that worked so hard to achieve a mutually satisfactory nuclear deal with the other members of the commission continuing to deal normally with Iran thus isolating the United States. It could also mean that the joint commission may hold the United States—rather than Iran—in noncompliance with the agreement, thus freeing Iran to pursue its pre-agreement enrichment program, which would eventually lead to the acquisition of nuclear weapons. 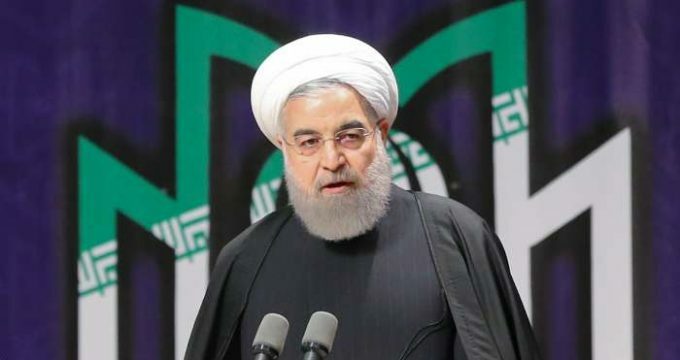 The statement implied that the only way to stop Iran from going nuclear at that point would be for the United States to go to war with the country, thus triggering off a major conflagration in the already volatile Middle East. The statement is a very pragmatic one, but it does not go far enough. It warns in admirable fashion against the negative consequences of the president reneging on the JCPOA. However, it does not address the positive benefits that are likely to accrue to the United States in the increasingly unstable Middle East if it uses the JCPOA as a building block to improve relations with Iran. Genuine rapprochement with Iran is essential for several reasons for the United States to protect its economic interests and achieve its strategic goals in the Middle East. Russian and Chinese inroads into the region make that rapprochement all the more imperative. First, Iran is one of only two real states, the other being Turkey, in the region; the other “states” are merely tribes with flags. This fact is important if one takes a long-term geopolitical perspective. Iran has gone through turmoil just like other states in the region, but its Persian center continues to hold. This is because it has a hoary state tradition that has created strong historical memories among its population of the longevity and legitimacy of the Iranian state regardless of regime characteristics. Iran’s state tradition stretches back well into its pre-Islamic past but, more particularly, the Iranian state has existed more or less within the same contours it has today since the establishment of the Safavid empire in 1501. The contrast with its neighbors is stark. Most of the latter are the products of the Syke-Picot agreement, modified by the Balfour Declaration and the Treaty of Lausanne, and can trace their history back only a hundred years. The Arab statelets of the Persian Gulf, created at the whims of the departing British, have existed for less than half century. The speed with which the Iraqi and Syrian states collapsed and the chronic feeling of insecurity harbored even by powerful, oil-rich countries, such as Saudi Arabia, are testimony both to their vulnerability and to the endurance of the Iranian state. The fact that Iran not only survived but did so with dignity under the harshest economic sanctions imposed on any country in living memory is further evidence—if it was needed—of Iran’s staying power. Faced with such sanctions the Saudi state would have collapsed within months. Furthermore, no matter what indices one uses for the measurement of relative power, Iran is the preeminent power in the energy-rich Persian Gulf. Its demography, industrial and technological base, the creativity of its people, all testify to this. While it has fallen behind some of its neighbors in terms of sophisticated weaponry thanks to the sanctions, the demonstrated warfighting experience of its armed forces (in contrast to the mere spit and polish of its Arab neighbors) and its capacity to engage in reverse engineering make it a formidable force in the region. Consequently, one cannot envisage a stable and legitimate structure of security in the Persian Gulf without its participation. What India is to South Asia, Iran is to the Persian Gulf. Given the strategic and economic importance of the energy-rich Persian Gulf to the United Sates (and to its industrialized allies), it is imperative that the United States, the preeminent power in the globe, cooperate with Iran, the preeminent power in the region, to construct a stable structure of security that ensures the supply of oil and natural gas to the rest of the world in a predictable manner and at reasonable prices. Oil prices may be down currently, but one cannot presume that they will continue to remain so indefinitely. One major crisis in the Persian Gulf is likely to throw energy markets in turmoil. Good relations with Iran are essential to prevent this from happening. Moreover, Iran sits next door to two countries—Iraq and Afghanistan—where the United States is militarily engaged. Iran has enough political and military cards to make life difficult for the United States in either country or both. Recent reports that Iran is hobnobbing with the Taliban in Afghanistan, its inveterate enemy, in order to prevent the United States from achieving its objectives in that country is evidence both of the flexibility of Iranian diplomacy and its clout within the Afghan polity. Iran’s influence is dominant in Herat in western Afghanistan and among the Shia Hazara in Bamiyan in central Afghanistan. It also has good relations with the non-Pashtun population of northern Afghanistan. All in all, unless the United States comes to an understanding with Iran on Afghanistan, President Trump will not be able to achieve his goal of military disengagement from that country. That Iran may not be averse to a deal is demonstrated by past experience when it not only cooperated with the United States in 2001 to overthrow the Taliban but also collaborated with Washington at the Rome conference to install America’s preferred candidate, Hamid Karzai, as Afghanistan’s president. It was unfortunate that President George W. Bush’s State of the Union message shortly thereafter lumped Iran with Iraq and North Korea as the “axis of evil,” thus aborting the budding rapprochement between Tehran and Washington. The same applies to Iraq with even greater force. Tehran wields considerable influence over the Shia-dominated government in Baghdad through sectarian affinity, trade, economic aid and by its control of several Shia militia operating in the country against the Islamic State in collaboration with the Iraqi army. The fundamental reason for Iran’s political, military and economic investment in Iraq is that Tehran considers Iraq to be its greatest strategic asset. Its importance to Iran far exceeds that of Syria. Iraq is larger and richer than Syria and next door to Iran. Most importantly, the main lesson Iran has learnt from the Iran-Iraq war of 1980–88, in which it lost a million people, is that a friendly regime in Baghdad is of ultimate importance to it for it cannot afford another disastrous conflict with Iraq. Therefore, despite temporary ups and downs in Tehran’s relations with Baghdad, Iran will not tolerate any hostile presence in its next-door neighbor. The United States must take this factor into consideration while crafting its policy toward Iraq. It also means that the United States cannot complete a successful military withdrawal from Iraq without Iran’s cooperation. Finally, Iran’s antagonism toward the Islamic State, for sectarian and ideological as well as security reasons, far exceeds that of any other power, including the United States. The Islamic State considers the Shia as beyond the pale of Islam and is, therefore, viscerally anti-Iranian. Iran’s support for the Iraqi militia fighting the Islamic State is predicated primarily on this fact. Iran deployed its proxy Hezbollah in Syria to shore up the Assad regime. However, this can change at a pinch if the need arises for Iran to enter the war against the Islamic State even if indirectly. The Trump administration should consider this as boon as Washington is engaged, by its own confession, in mortal combat with the Islamic State. On close scrutiny, it would appear that there are many good reasons for Washington and Tehran to coordinate their policies in the Middle East for mutual benefit. Astute observers of the Iran nuclear deal had presumed that the JCPOA would form the foundation stone on which Iranian-American political cooperation could be built in order to advance the interests of both parties. I believe some people in the Obama administration who dealt with the Iran nuclear issue also accepted the validity of this thesis. It is unfortunate that the Trump administration, instead of building on the JCPOA to achieve broader goals in the Middle East, is undermining it by threatening to renegeon it. This strategy amounts to nothing less than snatching defeat from the jaws of victory. Mohammed Ayoob is a senior fellow at the Center for Global Policy and the University Distinguished Professor Emeritus of International Relations at Michigan State University.